It’s finally here! 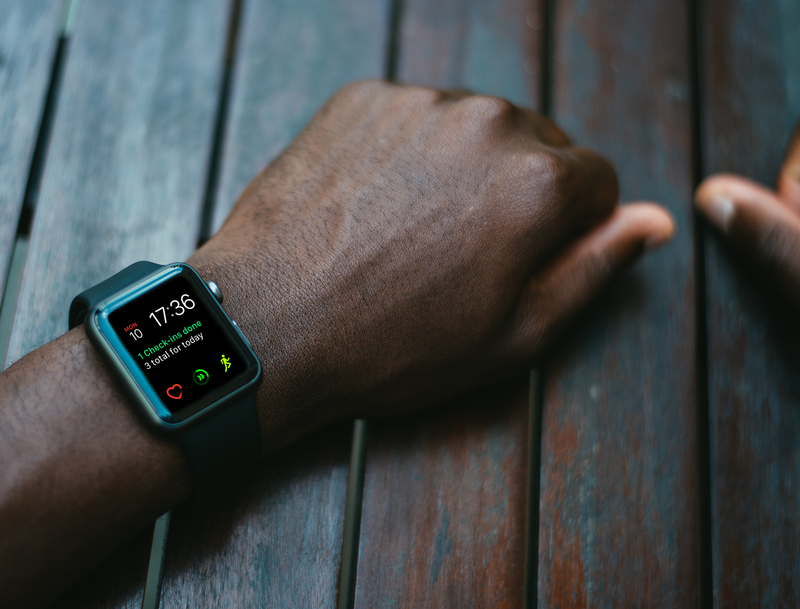 Today for the Apple Watch is now ready to help you track your goals, build your habits in a powerful and intuitive way. Forming a new habit is all about being aware and mindful of the process. Tracking your progress and getting all the insight that you need to stay motivated with the least amount of friction. This is what we envisioned for Today on the iPhone right from the very start and led us to an app that hundreds of thousands of users enjoy every day. Today for the Apple Watch is a natural extension of that feeling. 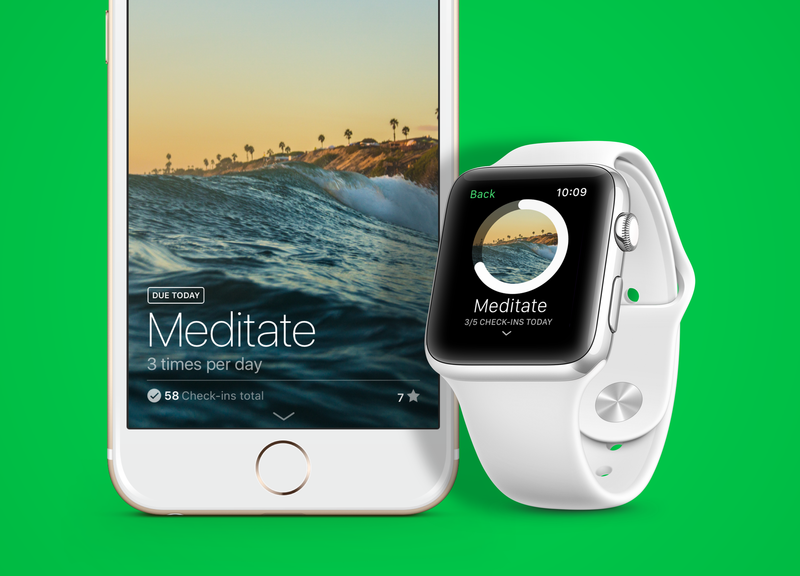 Instead of trying to replicate every single feature of the iPhone app, we created an app that distils the experience down to the essential actions that fit perfectly on that tiny magical device on your wrist. The result is a lightweight app that remains delightfully informative and complements what you experience on the iPhone. The main screen of the Apple Watch app displays a ring with your overall goal for each day: The total amount of check-ins you have to do based on your habits due for that day. It’s a great way to get a quick feeling of how well you are doing. Below that ring, you get a list of all the habits due for the day with the beautiful cover you chose for each one of them and their progress as well. Tapping on each habit leads to a screen where you can check-in on the habit or scroll down to check your weekly progress, current and overall streak. The complication of the Apple Watch is the same ring that you get on the main screen of the app. It feels right at home next to your activity rings and provides a quick and easy way to access the app. Without a doubt, the convenience of that little ring alone is an excellent reason to earn a permanent place on your watch face. 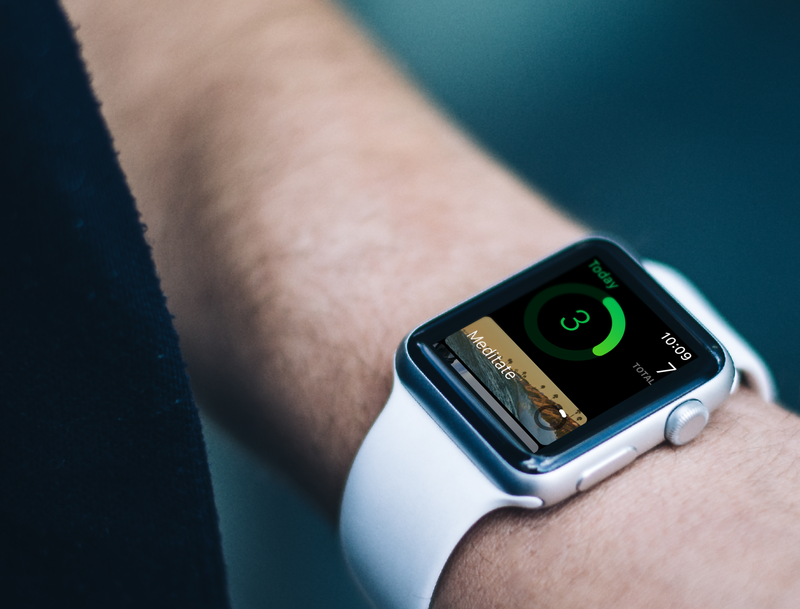 With the first version of the Apple Watch for Today successfully released, we’re working hard to bring you the next set of features, including more flexibility in the information displayed, easier input and innovations that we can’t reveal just yet 😉 It goes without saying we’re always open to ideas and feedback! Today for the Apple Watch is available as a free update on the App Store, and we wholeheartedly hope you enjoy it as much as we do!